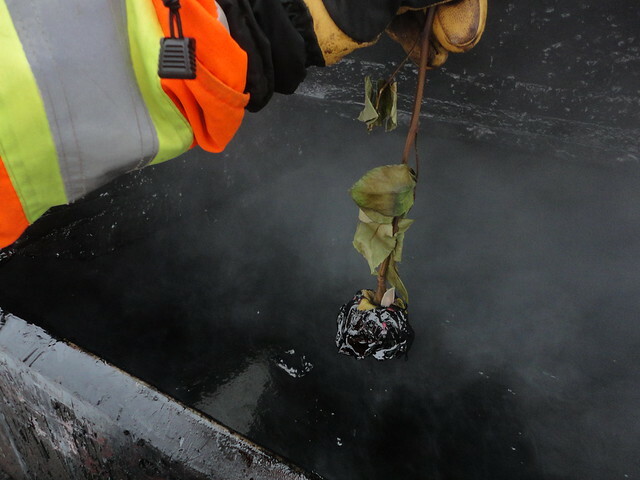 On Monday this week I made these stellar Black Rose Valentines with petroleum bitumen, aka roofing tar. 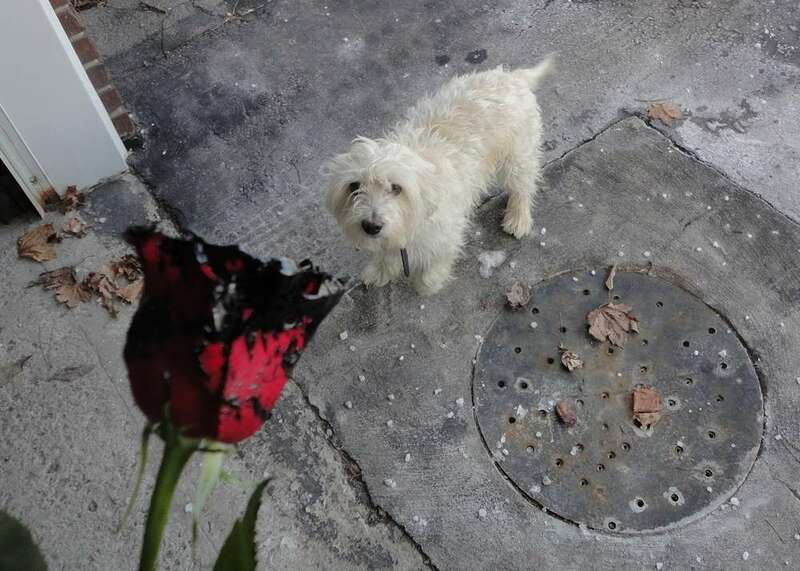 First I bought a dozen red roses at the local flower shop. 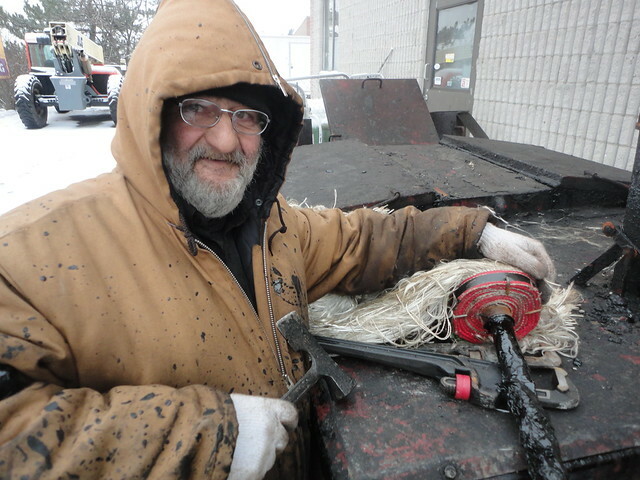 Then on a cold January morning, I took the wilting flowers to a ToughRoof flat roofing job where I met Dave who was busy feeding two industrial size mobile tar pot trailers full with a 1000 lbs of liquid bitumen, some of which I can still smell on my jacket. 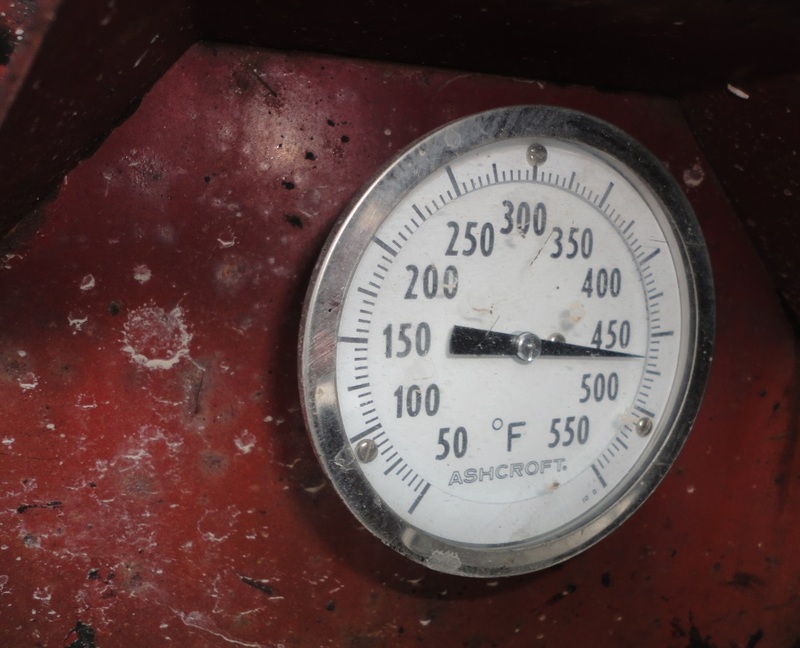 The propane heated boilers are set to almost 500 degrees and the black liquid steams in the cold air. 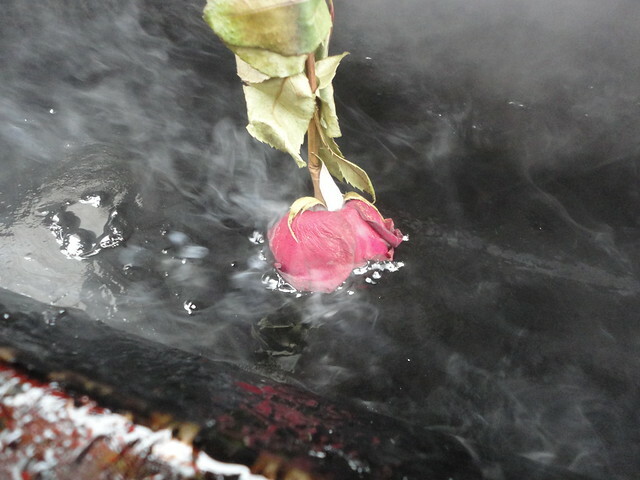 The rose petals curl up and the flower dries even faster in the fumes just seconds before the ‘tar’ dip. 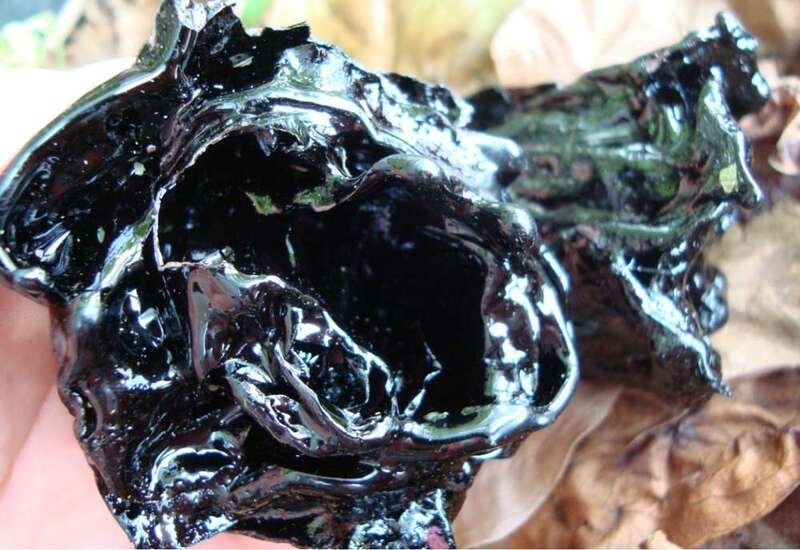 The red rose bubbles and sizzles as the molten bitumen mummifies the object into a solid black masterpiece. 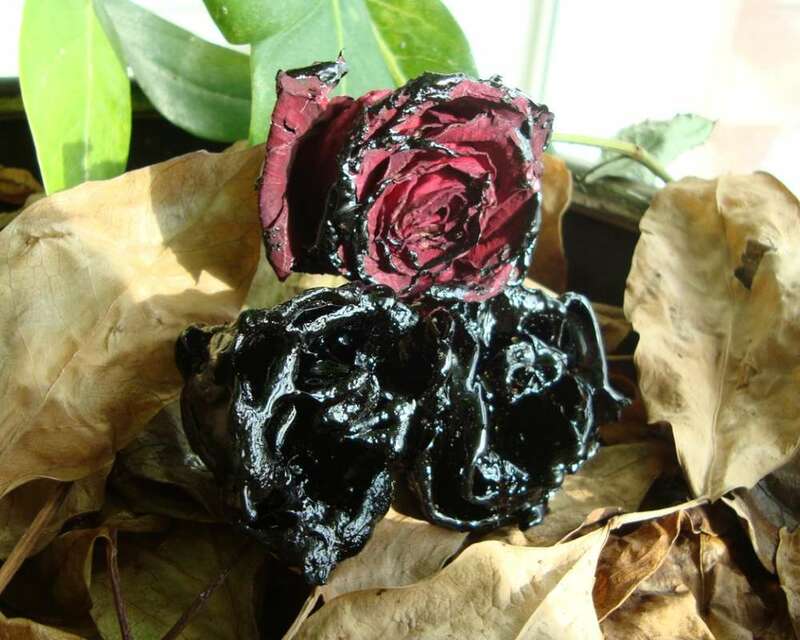 Petroleum dipped roses are beautiful to behold and solid , but i wouldnt put them in the window on a hot summer day. 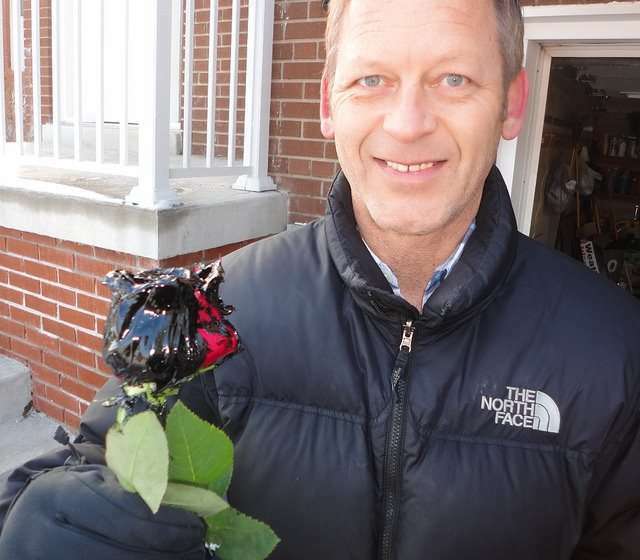 If you want to give someone special in your life a black rose for Valentines Day just let me know on Twitter @Roberrific. Last edited by Arob; Wed, Jan 14th, 2015 at 02:03 PM. Lynn49 and Shwa Girl like this. David's Cleaning Services is a North West London cleaning company specialised in carpet and upholstery cleaning. just wondering, do you wear a mask when you work with hot tar? Good question Shwa Girl . I dont work with hot tar. I was just visiting.. But I reckon they dont and they should wear masks. 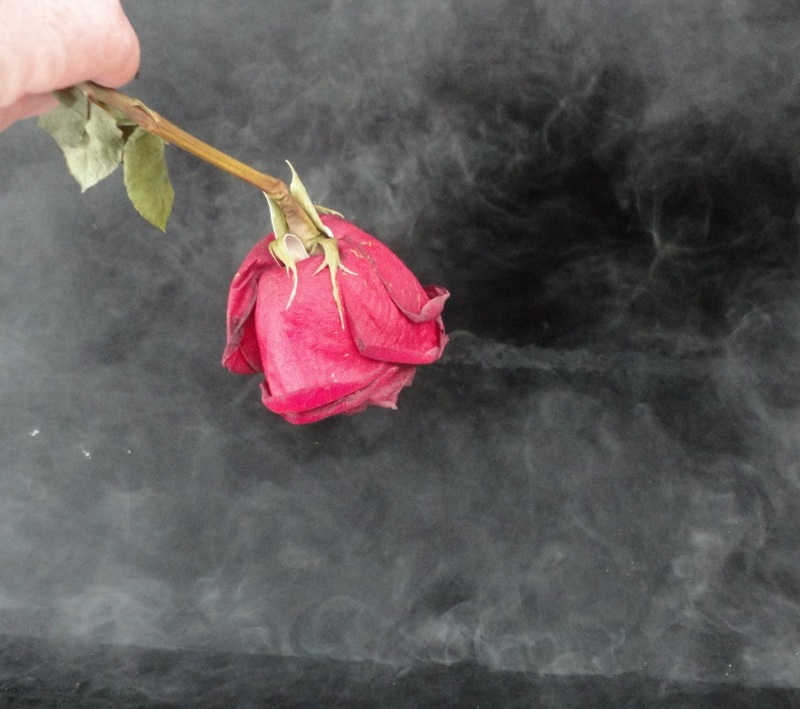 @carpetcleaning I was thinking of doing a piece on what black roses mean in the language of flowers. Another picture. They are so shiny they reflect everything 360 degrees. They look wet but they are hard as ice. Last edited by Arob; Wed, Jan 21st, 2015 at 03:26 PM. They are pretty neat. I like that they're shiny. 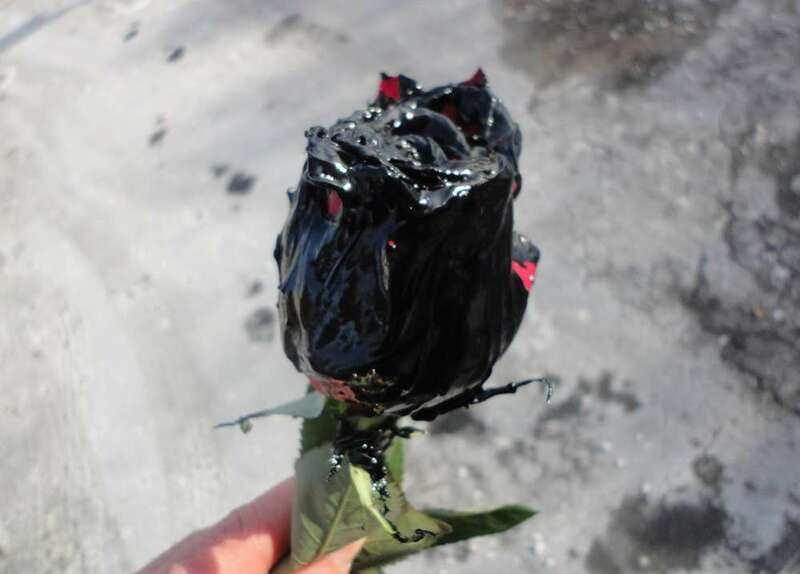 I have to show you this, Roses Dipped in Waterproofing Compound ! Bill Korenowsky of Royal Waterproofing in Toronto made these .. and although they'll live forever, they're pretty gooey looking, even though they're hard as rocks now. Next is roses preserved in ... ? Neat! What about that coloured fluorescent plasticky stuff they dip tool handles in to keep them from slipping out of workers' hands?